Oo it’s lovely and looks very classy! I don’t think I would have picked this from the bottle because it looks more red, a bit like spangles (1970s sweets) but on the nails it looks like melted chocolate so thumbs up from me. I think there is a fine line between “cheap looking wine colour” and “actual rich wine colour” when it comes to nail polish. That’s why I seldom use winey colours but this looks gorgeous on your skintone. 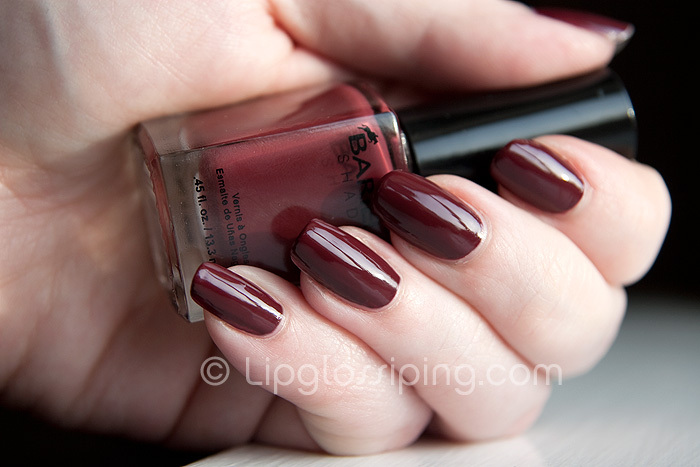 Love this shade, it’s beautiful! Just bee-yootiful! Inspires me to have a conversation with my wallet about picking up my first Barielles.